My late mother, dead now almost ten years, came for a "visit" to my kitchen this week when my grandson, Hayden, home for Presidents' Day, asked for pancakes for breakfast. We were out of our usual mix and I wasn't up for making them from scratch. While searching the pantry for any hidden packages of pancake mix, I happened upon a box of matzoh meal and decided to make, instead, the pancakes my mother made when my sisters and I were children, whether it was Passover or not. They're easy to make — a few eggs, a bit of water, salt, matzoh meal. You melt lots of butter in a frying pan and drop in the dollops of batter. That's when it hit me — my Mom was there holding the spoon, telling me when the butter was hot enough, when to flip them, and to remember to sprinkle them with sugar while they were still warm. Sprinkling on the sugar and then cutting them with the edge of the fork into bite-size pieces brought me my mother's smiling face on a long-ago Saturday morning: her love of her five girls, her willingness to make pancake after pancake until we were satiated, then reminding us to put our dishes in the sink before starting our chores. Saturday morning was housecleaning day, followed by a trip to the library. Although we would have preferred Saturday morning kids' TV to vacuuming, that wasn't an option. But we loved our trips to the library, so we licked the sugar off our lips and reluctantly left the table. My mother sat there finishing her coffee, as I did some fifty years later, reminiscing about my childhood, the books I read, and the love of mothers and grandmothers for children. 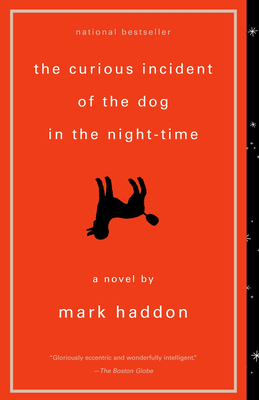 One of those sisters who used to eat pancakes with me just returned from New York and told me she saw the play, "The Curious Incident of the Dog in the Night-Time." It was adapted from Mark Haddon's novel of the same name, and she said it was amazing and that she was drained after seeing it. She said she never realized the depth of detachment that some autistic children and adults have from the world we know. Their attempts to connect, the obstacles in their way — noise becomes exaggerated, touch intolerable, focus impossible as they continuously try to impose internal symmetry on a bewildering external world. The play's acting, staging, and impact were enormous, she told me, and I was jealous, having loved Haddon's book and having no plans at the moment to be in New York City. 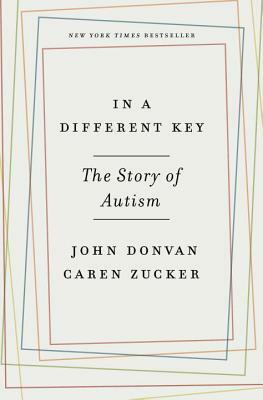 But I do plan to be at our Phoenix store on Thursday, February 25th, when former Nightline correspondent John Donvan and ABC producer Caren Zucker discuss their research into the history of autism, weaving stories of human ingenuity and perseverance and offering a profound look at how we understand disability. Their book, In a Different Key, is narrated as a series of dramatic episodes, never before told with such intimate power. 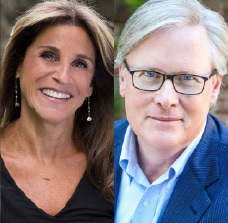 The authors, Emmy Award–winning Donvan and Peabody Award–winning Zucker, both of whose families have been affected by autism, have worked on the front lines of reporting on the social, medical, and legal aspects of autism since 1999, well before it became a national topic of conversation. Changing Hands is partnering on this event with SARRC (Southwest Autism Research and Resource Center) and First Place. These two non-profits are teaming up to develop a state-of-the-art transition program that offers temporary living arrangements for 32 students each year as they transition to more independent living. Unfortunately — or maybe fortunately — we have double events booked at the Phoenix store that evening. A dear friend and wonderful writer, Susan Lang, will also be there, in the more intimate setting of our meeting room, reading from her new novel. 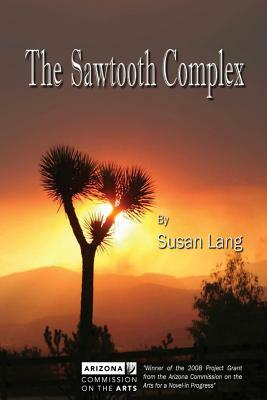 The main character of The Sawtooth Complex is Maddie Farley, a direct descendant of Edward Abbey's monkeywrenching hero. This is a wonderful novel that addresses the dilemmas of human life on the planet — we take, take, take, and then are surprised when the planet revolts, this time in the shape of a devastating forest fire. Our willy-nilly destruction of the exquisite natural world is set against the efforts of some people to protect and care for the biology that sustains us. Susan Lang has written several other well-received, award winning novels. 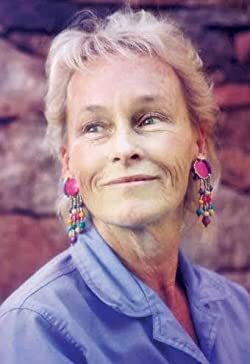 She also founded — and for twenty-five years directed — the Southwest Writers' Series at Prescott College. Still teaching at Prescott College, she serves as Event Coordinator at the wonderful Peregrine Book Company in Prescott. She will read and then give an interactive talk about the issues involved when writing about serious contemporary issues, and how creating vivid characters can keep a work from being dry and didactic. So, lots to do this month with a full calendar of events shaping up for March, too. 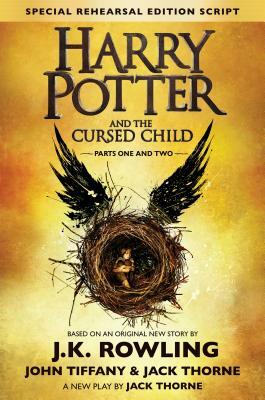 And just announced: a new book and play based on an original new story by J.K. Rowling, Jack Thorne, and John Tiffany. Harry Potter and the Cursed Child, which continues the Harry Potter saga nineteen years later, will be available July 31st! So many books to read, authors to meet, plays to see, yards to weed, houses to clean, pancakes to make — a very full life. Enjoy the spring, the wildflowers, the orange blossoms, your family, and of course, great books!